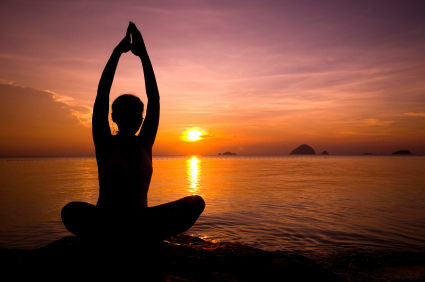 The practice of yoga has been around in ancient Indian cultures for thousands of years. It is the practice of using stretching and breathing techniques to calm the mind, body, and spirit. Yoga has many health benefits that include improved digestion, mental clarity, vitality, energy, metabolism, and sleep quality. Daily practice of any form of yoga can improve circulation, increase flexibility to your joints, and decrease chronic pain in the body. Yoga involves deep breathing, which leads to a relaxed state. The body’s ability to relax is controlled by the parasympathetic nervous system. The parasympathetic nervous system regulates digestion, heart rate, and the fight or flight response. The optimal regulation of these systems leads to better stress management and clearer thought processes. The most common forms of yoga practiced in Western countries are: hot yoga, vinyasa (flow), and hatha. Hot yoga has become very popular and can be used as a form of workout. The added benefit of hot yoga includes detoxification, although it is not a traditional form of yoga with the aim to calm the mind. Vinyasa and other forms of yoga that are practiced in room temperature are less strenuous and gently work on improving flexibility and focus on improving the mental state. The practice of yoga is a mind, body, and spirit experience. Yoga is a great way to introduce meditation into your lifestyle. Always remember to avoid pushing your limits and ask your instructor for guidance with difficult poses. Give it a try and see what benefits yoga brings to you!